Hello, August! Today, I am sharing a really delicious and unique deviled egg recipe with you to help spread the word about National Family Meals Month, which is coming up in September. This post is sponsored by Eggland's Best. All opinions expressed herein are my own. The information about Eggland's Best eggs and the below paragraph were provided by Eggland's Best. 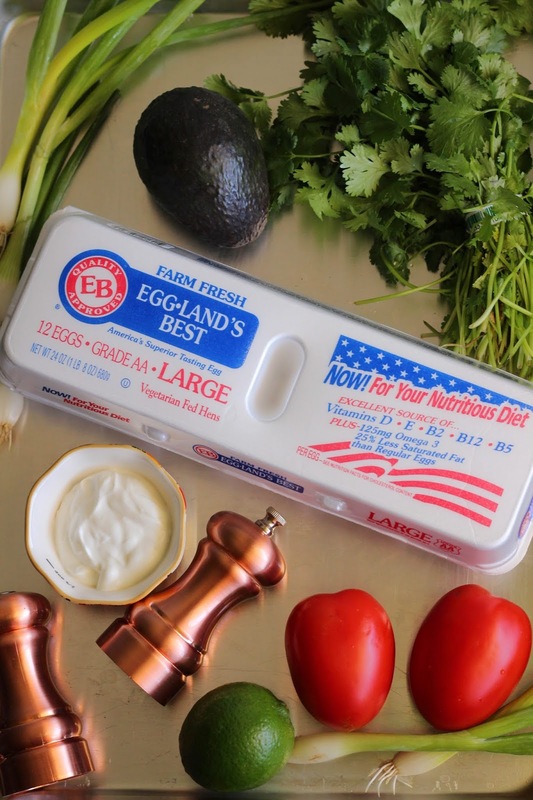 Eggland's Best (EB) and the American Heart Association have teamed up to help educate families on the importance of spending time together and eating healthy and nutritious meals. In honor of National Family Meals Month, EB and the American Heart Association's Healthy For Good movement are calling on families across America to take the Family Meals Pledge and commit to spending an additional "dozen" minutes around the table while enjoying nutritious meals together. Research shows that family meals can greatly benefit the health and wellbeing of our children. My family doesn't get to spend breakfast or lunch together often, but we always make sure to sit down and have dinner together. It's such a good time to sit down, unwind, and talk about our day. I think it's important to find the time each day to share a meal with your family. You might think you can't find the time to do this, but you have to make time. Now, onto these delicious deviled eggs. 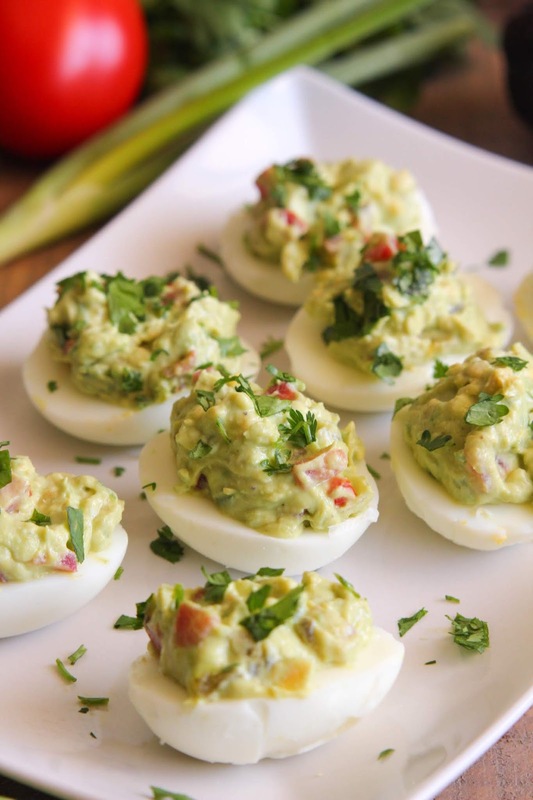 I'm not a huge fan of regular deviled eggs, but these guacamole ones are really really tasty. I am a HUGE guacamole lover, but it's not the healthiest when you are devouring it with chips. So, adding guacamole to egg white shells is a much healthier idea. I used none other than Eggland's Best eggs for this recipe. Eggland's Best (EB) is the #1 branded egg in the U.S. and is an excellent source of vitamins D, B12, E, B5 and riboflavin. EB eggs have six times more vitamin D, more than double the Omega-3s, 10 times more vitamin E and 25% less saturated fat than ordinary eggs. Independent testing has also confirmed that Eggland's Best eggs stay fresh longer than ordinary eggs. This recipe comes from the American Heart Association. 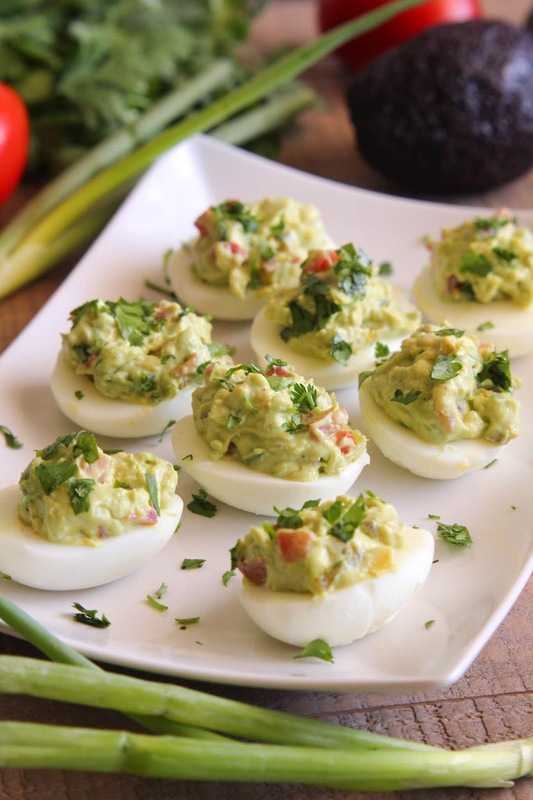 By discarding all but two of the eggs yolks and using avocados in their place is a great way to lower saturated fat in this crowd-pleasing appetizer. Plus, adding sour cream to guacamole is a genius idea. I love sour cream and the flavor really adds something to these eggs. I am going to do that from now on. 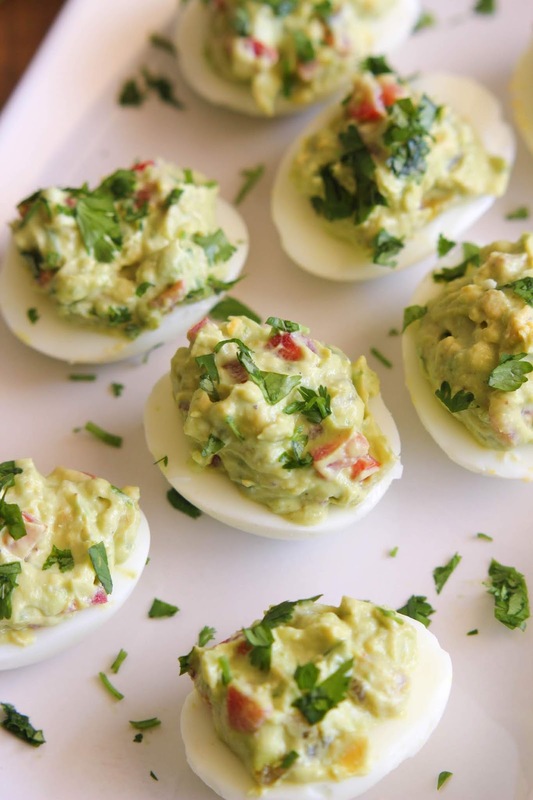 These deviled eggs are creamy and so so good. You have got to try them. Now, remember to make time to spend an additional "dozen" minutes around the table with your family. chopped fresh cilantro, for garnish, opt. Make the hard boiled eggs: Fill a large pot with cold water, add all the eggs, and bring mixture to a boil over high heat. As soon as the water begins to boil, cover with a lid, remove pot from the heat, and let eggs sit for 10 minutes. 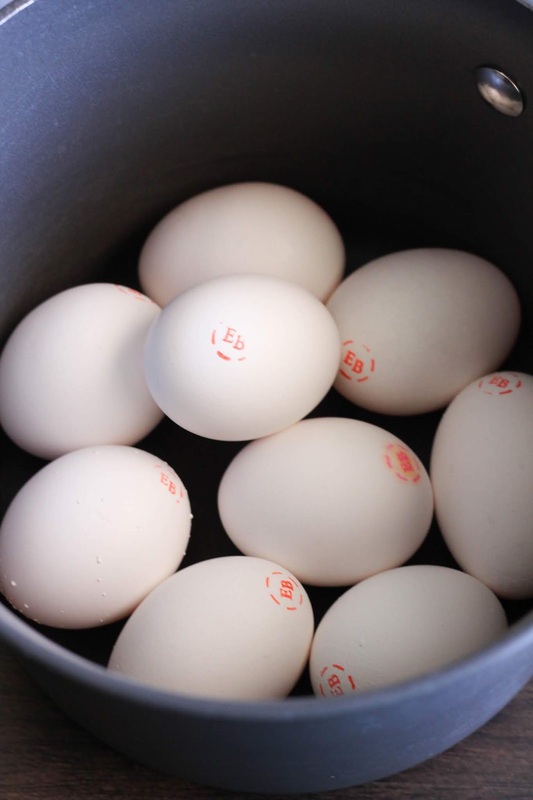 Drain water and transfer eggs to a bowl of cold water to cool. When the eggs are cool enough to handle, remove the shells. Slice each egg in half lengthwise. Remove the yolks, adding just two whole eggs yolks into a medium bowl and discarding the remaining seven egg yolks. Place the egg white halves onto a platter. Slice the avocado in half and remove the pit. Use a spoon to scoop the avocado's flesh into the bowl with the egg yolks. Use a fork to mash the avocado and egg yolks together. Stir in the sour cream and lime juice. Add the finely chopped tomatoes and scallions. Add the salt, pepper and finely chopped jalapeño. Stir together to combine. Spoon the guacamole into each egg white half, dividing the mixture between all 18. Garnish with a sprinkle of chopped cilantro, if desired. Serve.